Come meet Gwen on Saturday. 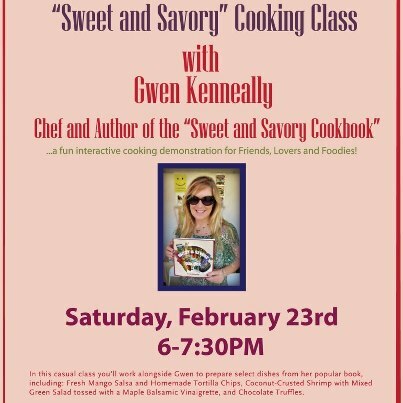 Join MDF’s very own Gwen Kenneally for an interactive ”sweet and savory” cooking class at Whole Foods Tarzana this Saturday, February 23 from 6 p.m.-7:30 p.m. It’s the perfect date night — or come alone or with friends. 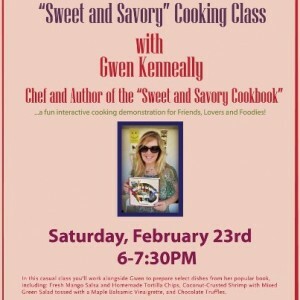 Learn some recipes from Gwen’s Sweet and Savory Cookbook — Fresh Mango Salsa with Tortilla Chips, Coconut Crusted Shrimp with a Mixed Green Salad tossed with Maple Balsamic Vinaigarette and Chocolate Truffles. Included is a glass of wine or beer. The cost is free with a $10 suggested donation to the Whole Planet Prosperity campaign. RSVP to SPTRZ-marketing@wholefoods.com. Late night Happy Hour at The Village. 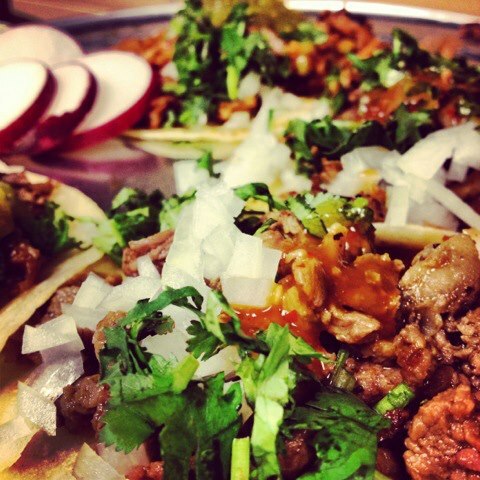 The Village in Studio City just launched their Late Night Lifted Spirits Hour and Gourmet Taco Bar. Stop by for $10 specialty cocktails, $7 beers, $4-$6 wines and a $2 Gourmet Taco Bar. 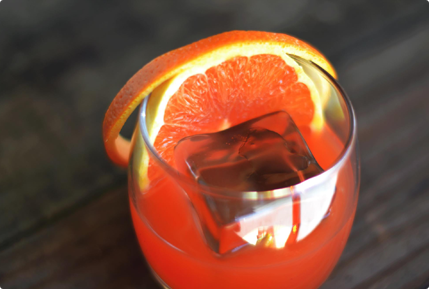 It’s happening every Sunday through Wednesday from 10 p.m. – 1 a.m.
New Happy Hour at Firenze Osteria. 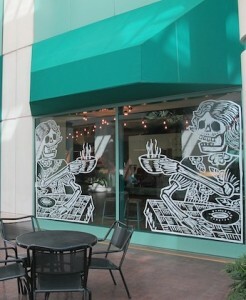 Cafecito Organico replaced Starbucks in Burbank. Let’s hear it for independent coffeehouses. Cafecito Organico opened up its sixth Southern California location recently in a former Starbucks in Burbank at 3800 W. Alameda Ave. The company started in 2004 by Angel Orozco who started roasting and selling coffee at local farmers markets. He works with producers of organic, sustainable coffee in El Salvador, Colombia, Guatemala and Honduras. The coffeehouse serves sandwiches, salads and sweets from Valerie Confections. Pacific Cheesecake just opened in Valley Village. Family-owned Pacific Cheesecake Company recently moved from Glendale to Valley Village replacing the very short lived Grilled Cheese and Cupcakes, located just a couple doors down from MDF fave, Sushi Don. 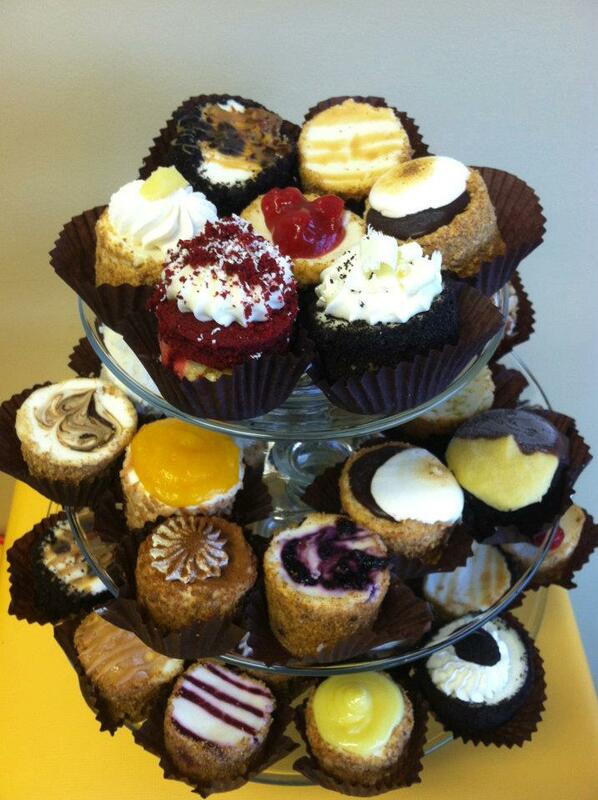 Pacific Cheescake Company specializes in mini-cheesecakes. 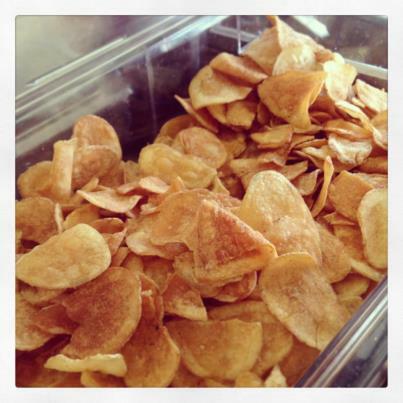 There are 20-30 flavors available daily with nearly 150 flavors from which to choose. In addition to sweet flavors normally associated with cheesecake, there’s also a stunning savory collection, including such flavors as pancetta; spinach and feta; and bleu cheese honey. Sugar-free flavors are also available. 4820 Laurel Canyon Blvd. Valley Village. Homemade potato chips from Sweet Butter! Sweet Butter Kitchen has a special catering menu themed just for the Academy Awards., including such dishes as Homemade Biscuits with French-Style Ham, Apricot Jam & Brie (Django Unchained), Mediterranean Platter: String Cheese, Stuffed Grape Leaves, Hummus, Kalamata Olives, Roasted Peppers, Dried Apricots, Dates & Pita Bread (Argo), Truffle Roast Beef Sandwich Platter with Roasted-In-House Wagyu Beef, Caramelized Onions, Gruyere & Truffle Aioli on Millstone Bread and Homemade Salt & Pepper Potato Chips (Lincoln), Chicken Paillard Platter (Les Miserables). Contact Marlasweetbutter@aol.com to order.